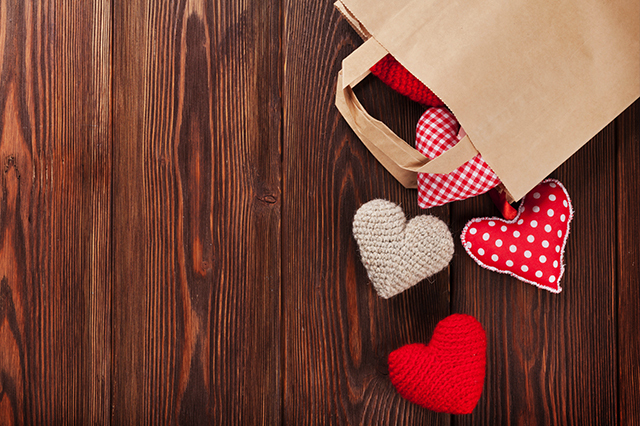 Total Valentine’s Day spending in the U.S. is expected to reach $20.7 billion this year, a 5% increase from $19.6 billion in 2018, according to an annual survey released by the National Retail Federation (NRF) and Prosper Insights & Analytics. Gifting trends on Valentine’s Day have changed substantially over the past decade, resulting in fewer people celebrating this year — but those who do will spend more. People in the age group 35-44 are expected to be the highest net spenders. 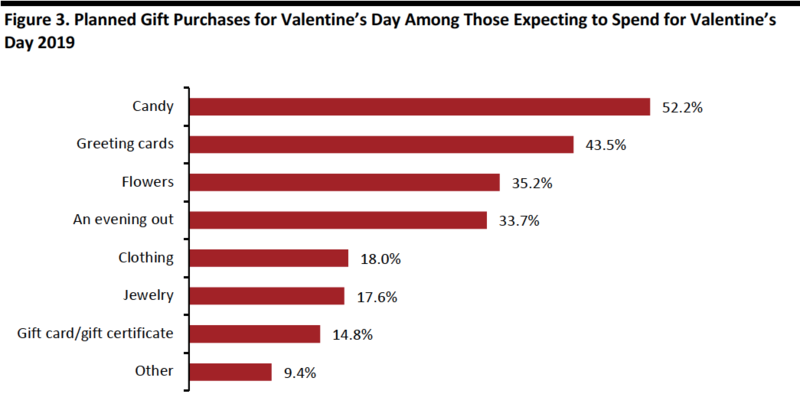 Valentine’s Day in 2019 is expected to be very different than it was a decade ago, according to an annual survey released by the NRF and Prosper Insights & Analytics. The percentage of people expecting to celebrate the day has dropped to 50.7% in 2019 from 54.7% last year and 62.8% in 2009, making likely 2019 participation the lowest in a decade. Total spending, however, is expected to rise to $20.7 billion from $19.6 billion last year and just $14.7 billion in 2009. Even some who do not plan to celebrate intend to splurge on themselves with jewelry or clothing. This translates to expected average spending per shopper of $161.96, up 13% from last year’s $143.56. The highest spenders are people in the age group of 35-44, closely followed by people in the 25-34 age group, which the NRF and Prosper attribute to consumers in these age groups having children, as they need to buy for their children’s classmates and teachers. For U.S. shoppers, department stores remain the preferred destination to buy Valentine’s Day gifts. Of those who plan to shop for the occasion, 35% said that they will make purchases at department stores, followed by 32.1% who will purchase at discount stores. 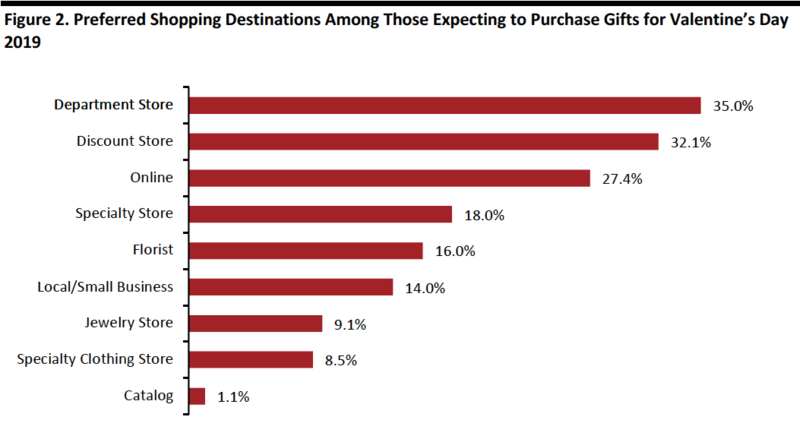 The preference order of shopping destinations remains the same as it was in 2018; however, online shopping for gifts has lost ground, with 27.4% of shoppers saying it will be their preferred destination, down from 29% last year. Candy lost importance in comparison to last year with 52.2% of those planning to spend on the occasion saying they would buy candy, down from 55% last year – but still remains the most popular single item. Greeting cards came in second at 43.5% of shoppers, followed by flowers at 35.2%. For this year’s Valentine’s Day, “gifts of experience” — such as movie tickets, hot air balloon rides and gym memberships — gained importance, with 24.8% of respondents stating that they plan to gift one to their loved ones. But recipients may be disappointed: While just 24.8% said they plan to give a gift of an experience, 40% said they would like to receive one. Valentine’s Day spending in the U.S. is estimated to increase to a new high of $20.7 billion in 2019, with an average spending per consumer of $161.96. 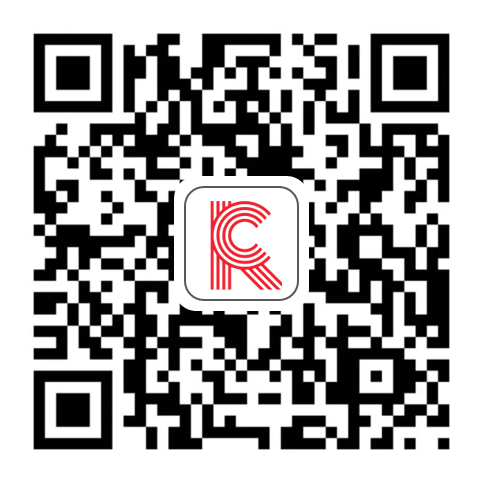 According to the survey, there will be fewer gift buyers this Valentine’s Day but average spending is expected to rise, driven mainly by consumers in the 35-44 years age group. Department stores continue to remain the preferred destination for purchasing gifts, with candy and greeting cards the most popular gifts, while gifts of experience continue to gain popularity.